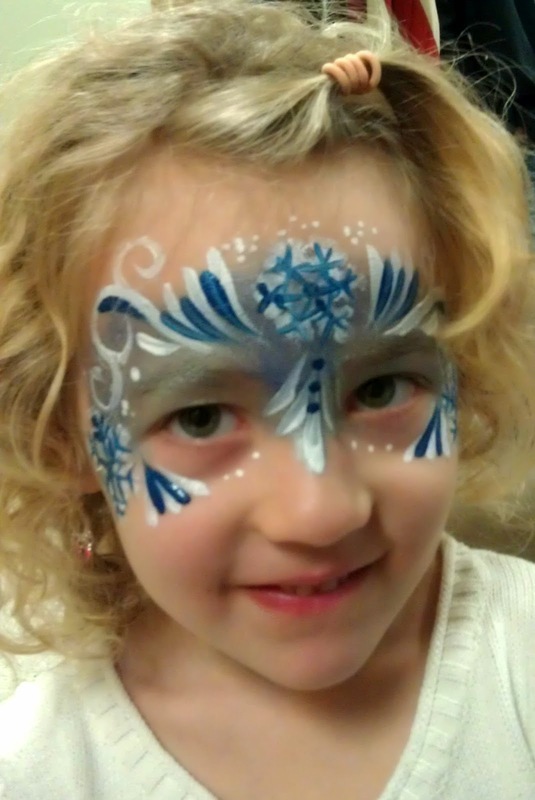 ... that led to a holiday face at a birthday party. 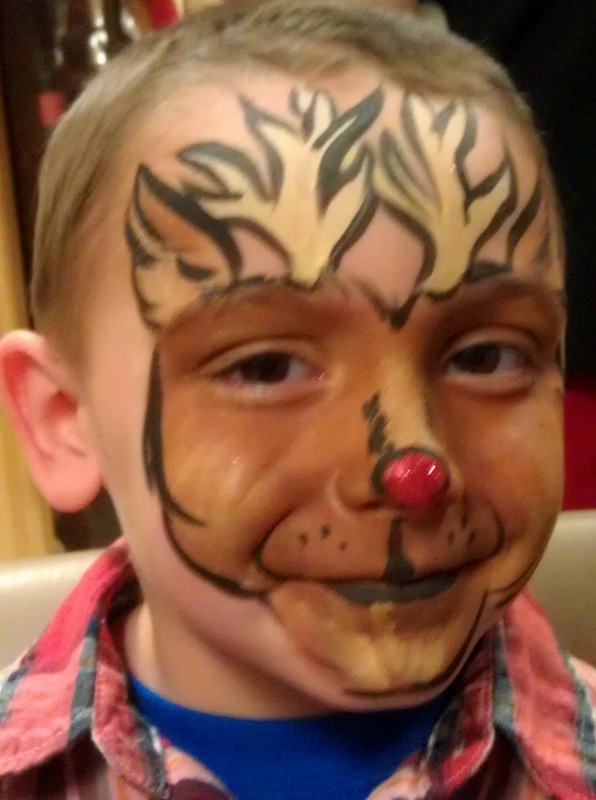 This young man wanted to be a deer today, and was happy to roll with it when I suggested Rudolph and a red shiny nose. I love kids who are up for some change. 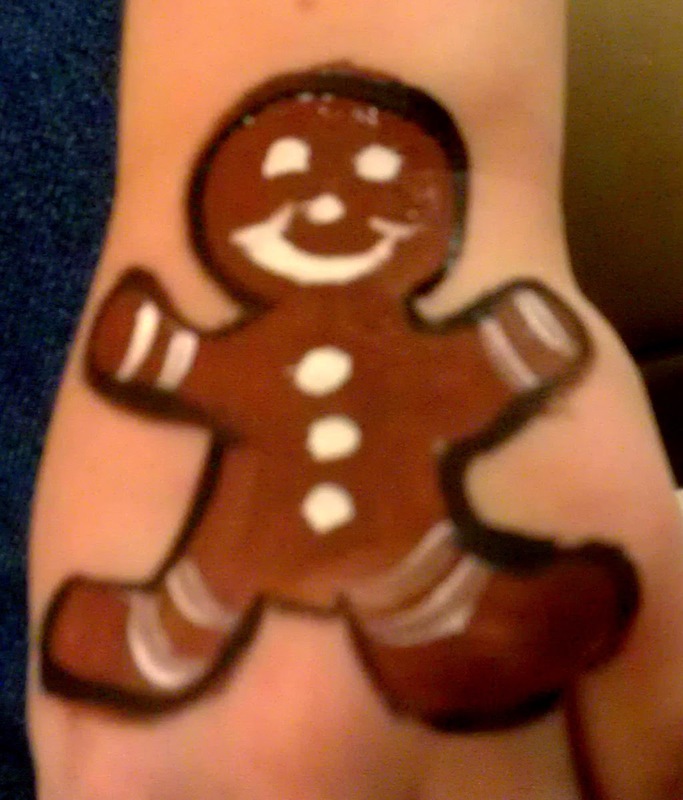 That may or may not have spurred this request for a gingerbread man. Cute, but likely not as tasty as the gingerbread animals and ornaments I baked for Christmas dinner. Those were yum. The birthday wasn't holiday themed, though, it was Mickey Mouse themed. And mom & dad were really into it. They were so fun! 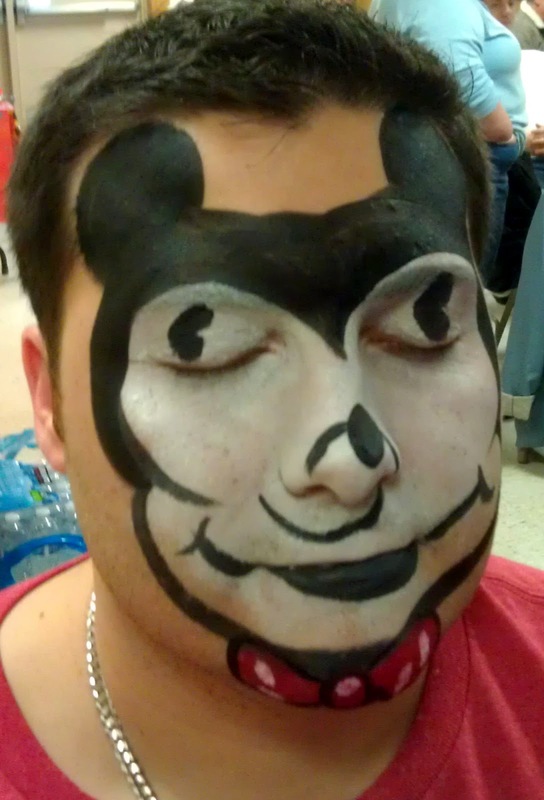 A full-face Mickey is not easy. I gave him a bow tie for a little color. 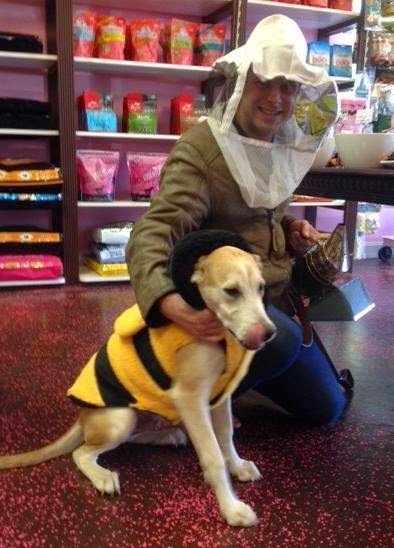 Of course, there were the standards... tigers, Elsa, a puppy (he was only one! 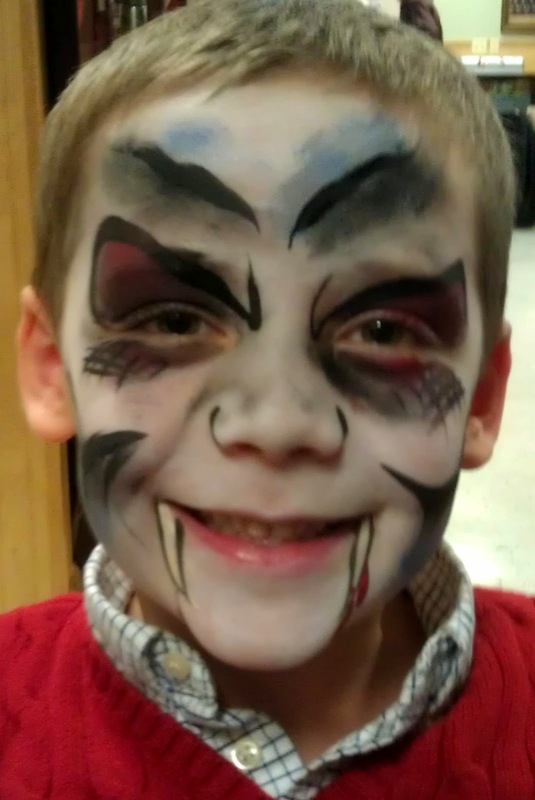 ), and a slightly out-of-season vampire. Event the small art at this one was fun. Seriously. I'm usually not a huge fan of the small stuff, but when I can do a Minnie (so glad I had a little practice from doing the drawing for my friend!) and a whale and fun stuff like that, I love it. 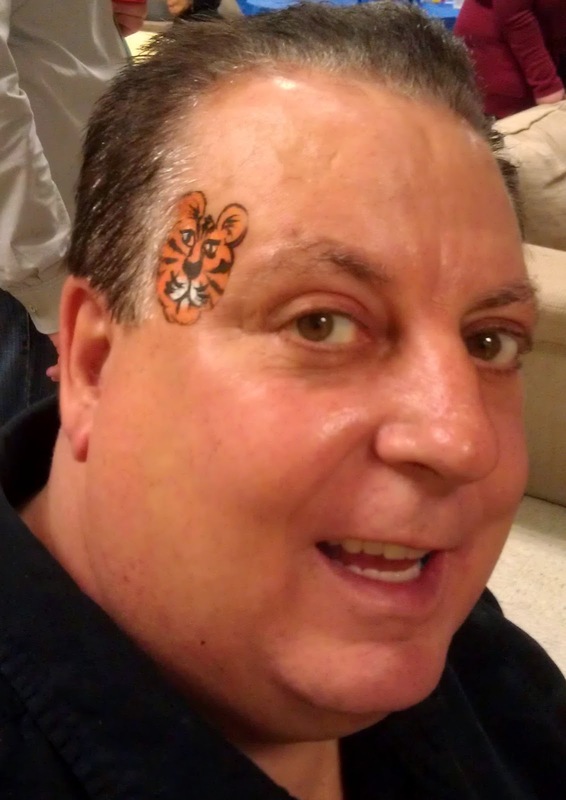 One of my favorite people, though, at this party, is counterintuitive for me as a Giants fan. 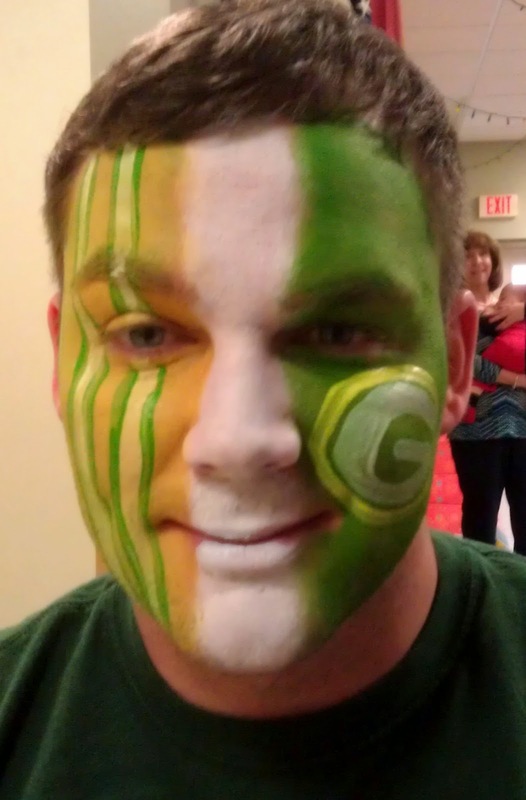 Granted, they didn't play well this season & they're not in the playoffs, but still... a Green Bay Packers fan? Sigh. He was cool, though, and I had a good time painting him and talking to him. Especially since he was going out after to watch the game. Pretty cool! Back when I was planning my wedding in 2007/2008, I became friends with an online community of women all planning their weddings for the same month and year. They're all over the US, and one's even in Canada. A sizable group of us are still friends, and some of us have met and become friends in person as well. And for the holidays, we do a secret Santa gift exchange. My recipient this year happens to be a former Disney employee, who still loves all that is Disney. Loves. So for her gift, I got her Disney fabric, Disney ribbon, Disney stickers, Disney buttons, and even some non-Disney stuff! In my travels, and while shopping for her gifts, I found that apparently Minnie Mouse has dressed as many princesses... but never a unicorn! Not one I could find anyway. Well, of course I had to remedy that. Behold... the one and only Minniecorn! 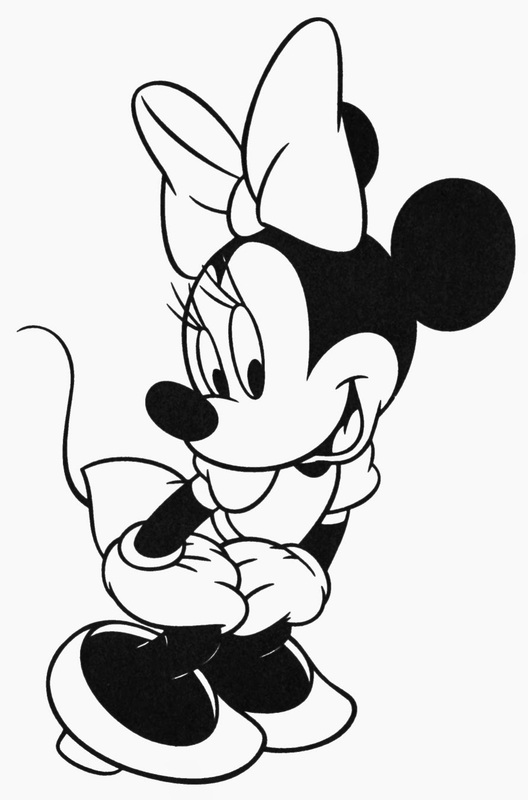 I used this drawing I found online as a basis for Minnie's shape and stance and angles, but I did draw it freehand, as you'll notice if you take a look for inconsistencies. 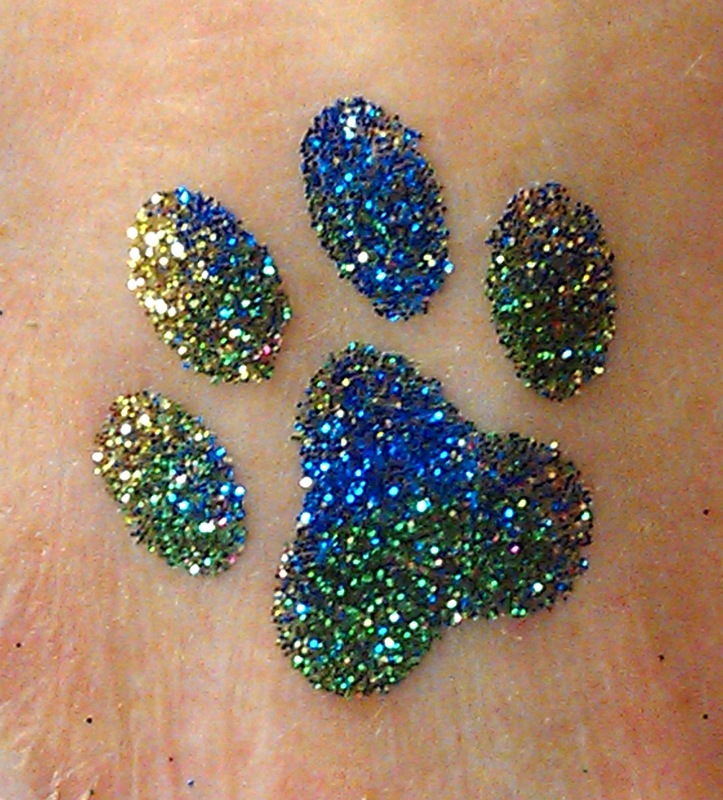 It was so fun to create! And I love that my friend will own a piece of Disney fan-art that will never exist anywhere else. Besides, you know me & handmade. 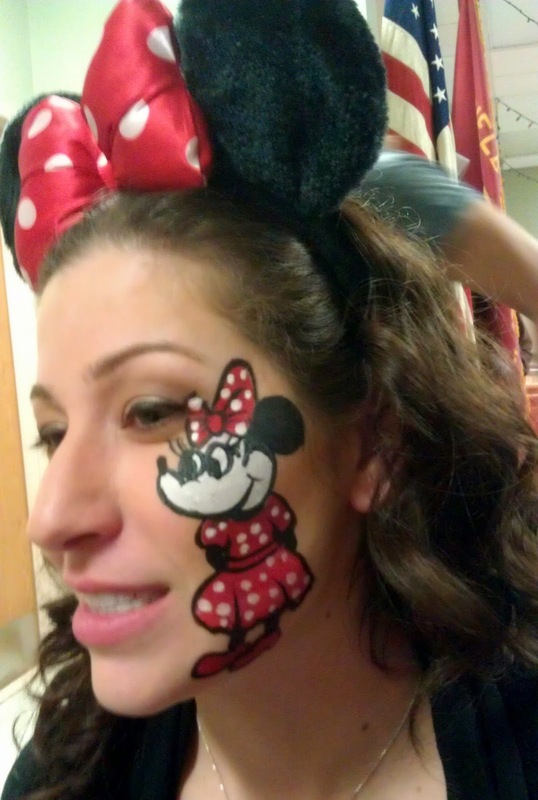 If you happened to be in Bloomfield during the last weekend of September, you may have had your face painted, and it may have been by my team! 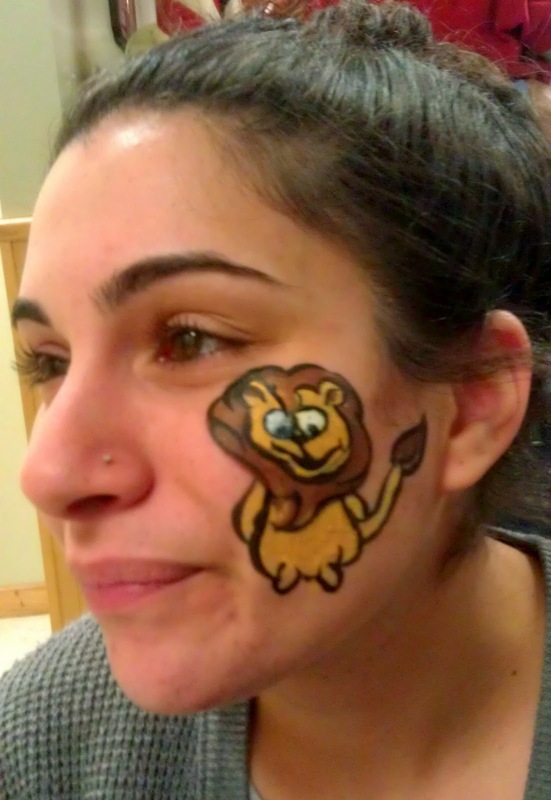 We were at the Investor's Bank booth for Bloomfield's Harvest Fest, offering free face painting, courtesy of the bank. They actually had me get them three face painters and two balloon twisters for each of the two days of the fest, so I had to put a bunch of people together. The only one who worked both days was my husband, Eric, who twisted balloons... despite the fact that it was his birthday weekend! It was fun to work with a slew of friends, though, and on Sunday I finally was able to. Saturday, except for getting everyone situated, I couldn't work because I was already booked up elsewhere. We were slammed, but I managed a couple photos, at least. This pretty princess. 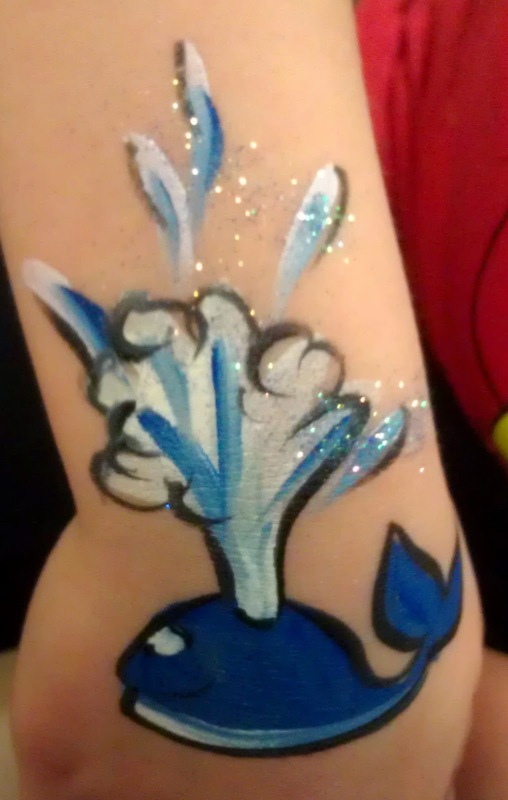 And this creative, precocious young lady who wanted to "look like water." She loved it! I got to paint for Comic Con! Only one customer, but I went to her house to do it and really got to see my vision - and hers - through. 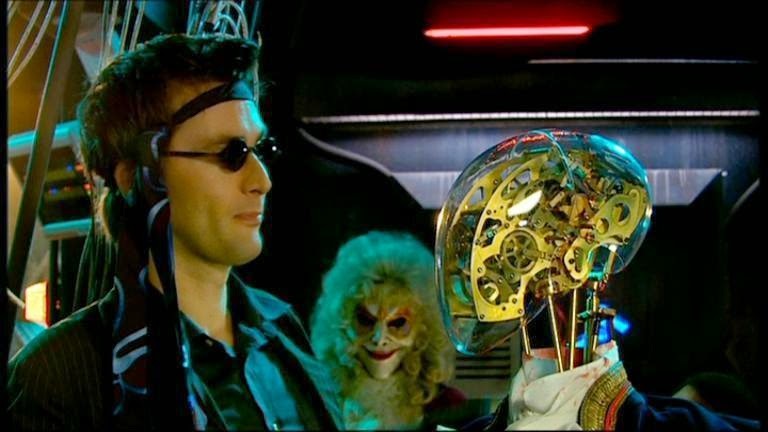 Her plan was to go to NY Comic Con done up in an outfit inspired by a Dr. Who episode, "The Girl in the Fireplace." Of course, I googled. Yay, Steampunk! I've done little touches of Steampunk, but last February at Wicked Faire, I was supposed to have an entire Steampunk body painting that fell through when my awesome model couldn't make it to Faire. She even thought of the globe! I love a model who's creative and comes prepared. She'd purchased the gears you see stuck on for some 3D effect, and she made the mask clear by taking a mirrored mask and removing the mirroring with acetone. Awesome! 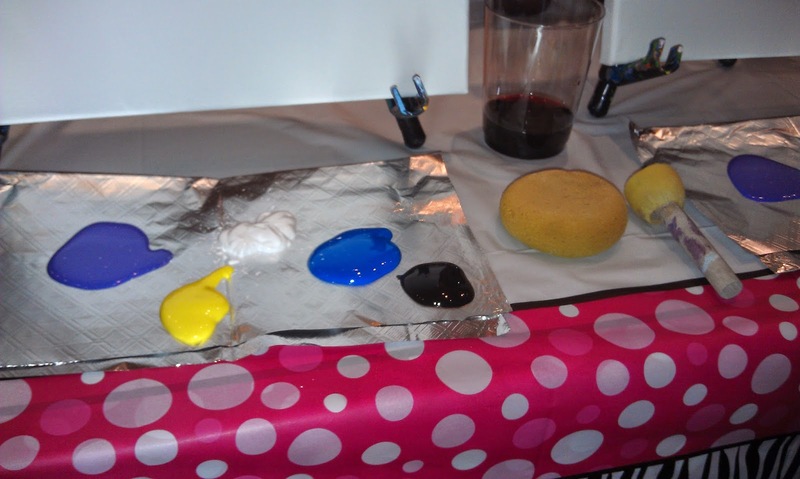 One of the Ways Acrylic Paints *Should* Be Used. 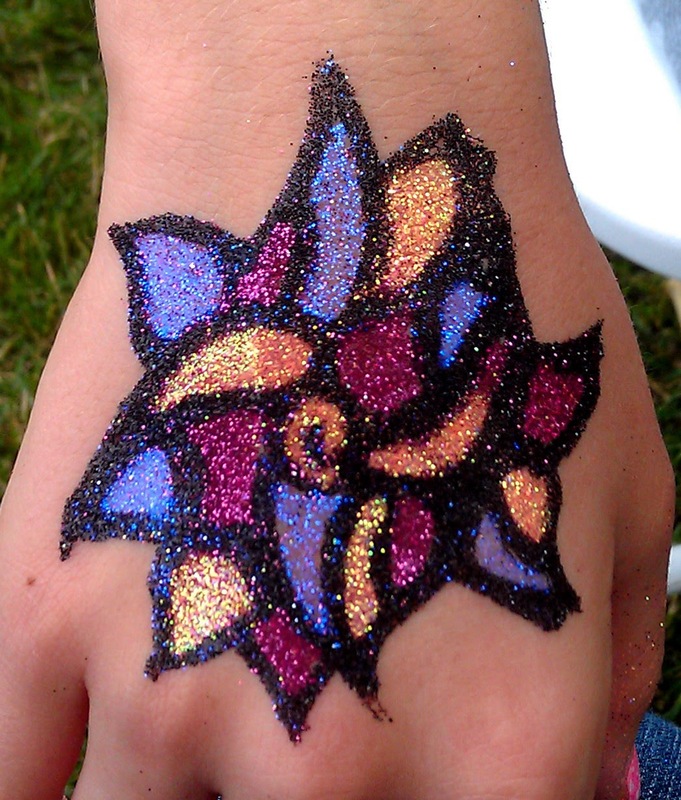 Which obviously means this isn't about face painting, since you should never allow face painting with acrylic paints. When the canvas is an inanimate stretched canvas canvas, on the other hand, well, that's another matter entirely. 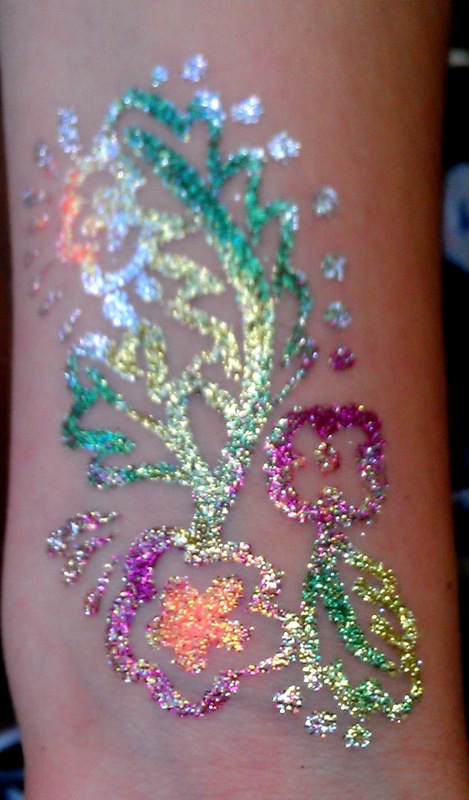 I was with face painters, though. On Wednesday night, we took a "class trip" to Brushes & Bisque in Denville for a "Canvas & Cocktails" party. I've got a background in fine art, so I'd never done one of these classes before, but it was so much fun, even if the supplies you're given are really limited to what you need specifically for the painting they're teaching that night. I refused to stay in the box. You can get an idea from the group photo what we were supposed to paint. And if you notice, there I am smack in the middle, and my canvas doesn't look quite like the others. Yeah... I'm kinda the type who doesn't like to stay in the box. 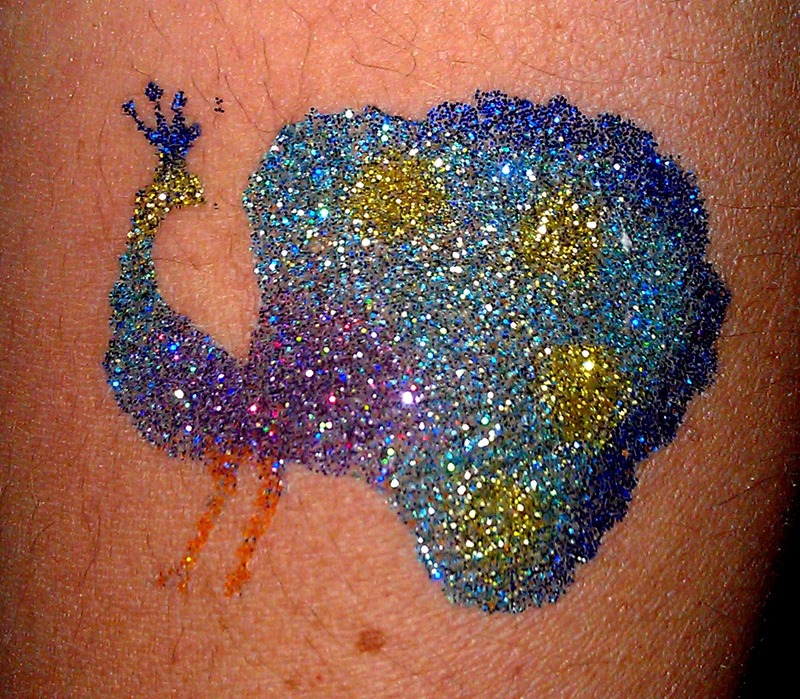 And is also a fan of Salvador Dali. I did have to touch it up at home, since I wasn't given any paints that could make orange and I'm better with my own brushes. Eric likes it. Whatcha think?